Chloë Sevigny and Kate Beckinsale in Whit Stillman's Love & Friendship. 2016 is actually a decent year for movies if one knows where to look. Most of the junk coming out of Hollywood isn’t even worth writing about, let alone worth seeing, and more or less every week has something we paid to watch two years ago and didn’t like. What’s the point in seeing it again? With so many films out there these days, the independents are working overtime and overall they’re delivering. It’s a year for hidden gems and festival favourites. 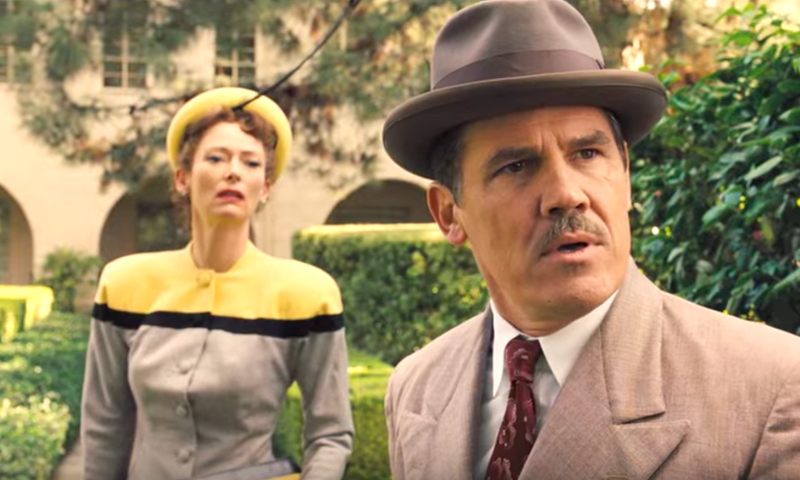 Aside from Hail, Caesar!, all of 2016’s top films are from artists working outside the system. (Even the Coens, outsiders turned insiders themselves, are lampooning the studios from within with their very funny throwback.) So three cheers for the risk takers in Canada and abroad! At this point last year, half of the films I listed here ended up making my picks for the top ten films of 2015. (Phoenix, Sunshine Superman, Far from the Madding Crowd, In Her Place, and What Happened, Miss Simone?) I hope that some of these films hold in there, and I suspect a few of them will, while at least one of the festival films from this year will undoubtedly make the Top Ten if it comes out by December. There’s no clear favourite among the films of the year so far, although Love & Friendship and Into the Forest are probably at the top, so there’s lots of wiggle room in the months to come! 2 Nights Till Morning is a must see for fans of the Before Sunrise/Sunset/Midnight trilogy. This intimate two-hander from writer/director Mikko Kuparinen sets the courtship between Caroline (Marie-Josée Croze) and Jakko (Mikko Nousianinen) within an extended layover in Lithuania during the 2010 eruption of Eyjafjallajökull in Iceland. The ash clouds let the two travellers feel grounded again in this Finnish-Lithuanian co-pro as they find a common passion in escaping their commitments from the world and enjoying company that doesn’t revolve around schedules, emails, and meetings. Croze gives her best performance since her Cannes-winning turn in The Barbarian Invasions, enveloping the viewer in Caroline’s mysterious seductiveness and cautious longing, and Nousianinen is every bit her equal as the two create a screen team, which, like Jesse and Celine, is worth revisiting. Tilda Swinton and Luca Guadagnino deliver on the expectations they set with 2010’s ravishing I am Love. The pair enjoys a second round of Italian sexytime with A Bigger Splash, which feels like a film that one might have seen from the masters of European art cinema in the 1960s and 70s. The film’s languid pace soaks up the sun and simmers with the turbo-charged hormones of summer heat as Swinton’s mute rock-star recuperates from throat surgery by the seaside with her beau (Matthias Schoenaerts), her excruciatingly boorish ex (Ralph Fiennes), and his sexpot of a daughter (Dakota Johnson). A Bigger Splash smoulders until it reaches the boiling point of its unexpected climax, but the biggest surprise here is Fifty Shades of Grey star Dakota Johnson, who goes toe-to-toe with Tilda and nearly steals the show. Jean-Marc Vallée does it again with Demolition, a bold deconstruction of masculinity that offers one of Jake Gyllenhaal’s stronger performances. The only drawback to Demolition is that the subject matter echoes Vallée’s own Wild, which was my pick for the best film of 2014 and might be my favourite film of the past few years, so it’s a great study in the pros and cons of authorship while also being a great film in its own right. To Vallée’s credit, he finds a unique voice for this character study into the wild wilderness of grief, since Demolition recalls his earlier performance-driven works like C.R.A.Z.Y. rather than his trilogy of kaleidoscopically edited films Café de flore, Dallas Buyers Club, and Wild. Demolition also showcases Vallée’s strong hand with actors since Gyllenhaal’s laudable turn finds an equal in Naomi Watts’s offbeat customer service agent, and their chemistry saves a convoluted plot, while newcomer Judah Lewis is a remarkable discovery. It’s funny. Dheepan totally reminds me of a movie that I would have watched for a course I took during grad school in which we studied films about migration. This trip back to the outskirts of Paris, or a “return journey” to the banlieues (to use some film class jargon), is one case that really makes me nostalgic for my studying days, not to mention appreciative of the ways in which one teacher’s passion for film shapes the way one looks at movies forever. This new film from Jacques Audiard, last year’s winner of the Palme D’Or at Cannes, offers an explosive study of one “family” and its struggle to integrate into a new country. 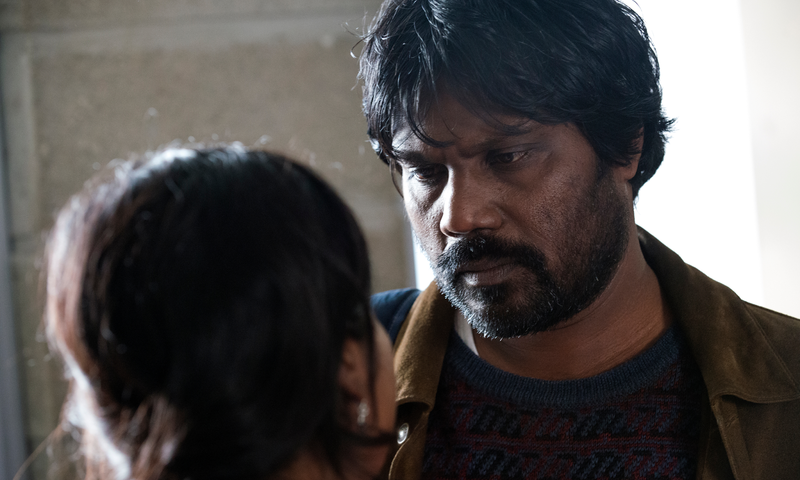 Dheepan shows that a person doesn’t simply shed his or her past life upon arriving in a new land. Home isn’t a place: it’s a mindset. This zany comedy from the Coen Brothers really deserves a second chance during its home video life. The film came out on the heels of this year’s conversation about diversity in film and faced some rather unfair charges of racism for its star-studded cast of white people. This satire of the classic era of Tinseltown, and of the studio system politics that make Hollywood the mess it is today, hilariously sends up the dream machine and the images it creates. To cry foul over the casting is to miss the point, for Hollywood whitewashing was in full force in the days of prestige Biblical epics, Communist parables, gun-slinging ham actors, and sailor-suited musicals. It still disappoints me that the Coens didn’t go for broke and feature Brad Pitt, suffering on the cross as a blond, Caucasian Jesus, as the money shot of Hail, Caesar! But a goofy Josh Brolin and gossipy Tilda Swinton, channelling the ghost of Hedda Hopper and the spirit of Nikki Finke, do just splendidly. 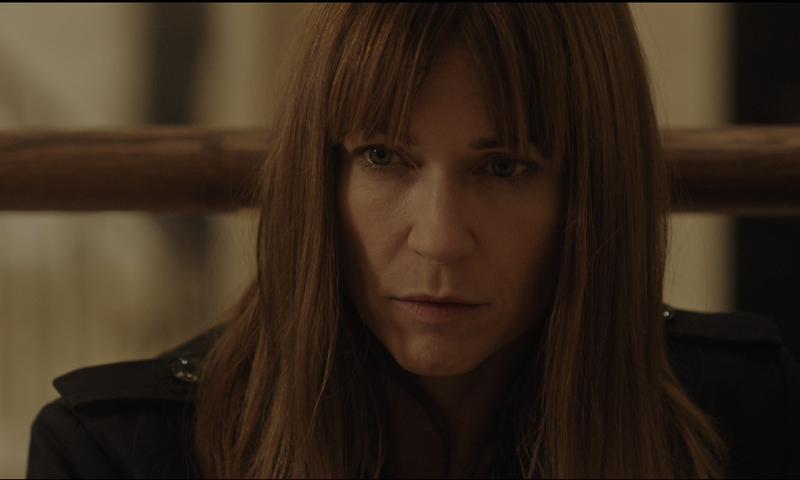 Into the Forest marks a welcome return to the big screen for Patricia Rozema. Following a brief hiatus and some work in TV, Rozema’s first feature film in seven years is also one of her best. The Canuck director is the perfect fit for this sparse, atmospheric, and Margaret Atwood-y dystopian drama that resonates with the spirit of sisterhood. Ellen Page and Evan Rachel Wood are in top form as two sisters battling the elements in a game of survival, cut off from the world and contemporary conveniences, when a disaster leaves them stranded at their home in the woods. The backstory of Into the Forest is lean and the tone is aptly allegorical: nature is something wild, beautiful, and terrifying—and man in his most basic form is just as brutal a force. 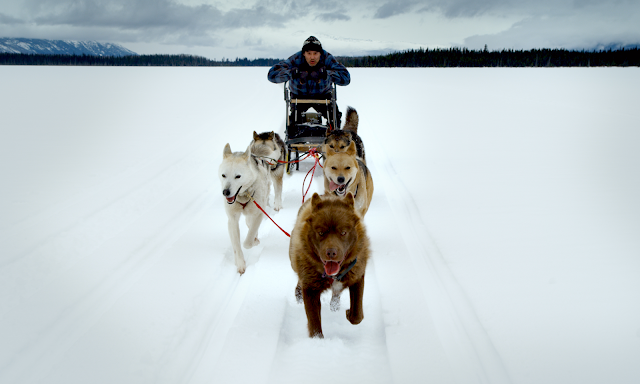 If Into the Forest leaves any doubt that nature is something wild, beautiful, and terrifying, then Nettie Wild’s jaw-droppingly cinematic KONELĪNE, which won a well-deserved prize for Best Canadian Feature at Hot Docs, captures the full force of nature with unparalleled scope and power. Too few environmental documentaries harness the majesty of the Canadian landscape in all its cinematic grandeur and Wild takes the audience deep into the forest, up into the Rockies, through the grasslands, and into the contentious areas where roadblocks and resource extraction efforts wage war to immerse the audience fully in the beauty and complexity of nature. KONELĪNE conveys a landscape worth preserving with unspoken urgency. Nature looks so much better on the big screen. 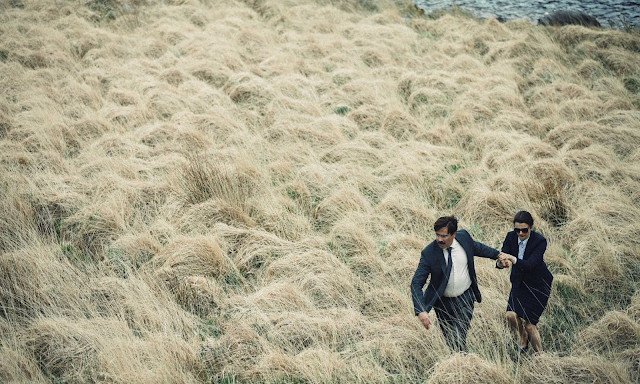 The Lobster is a love story after my own heart. This darkly funny dystopian fable offers a droll take on The Hunger Games for the smarthouse crowd. Colin Farrell, sporting a push broom and a pudgy gut, stars as David, a man looking for love so that he may survive the chase of heteronormative coupling. Dogtooth director Yorgos Lanthimos directs this subtly humorous satire of social norms, relationship woes, and adventurous heroes with a hunting game that reduces humans to animals. The deadpan tone of The Lobster finds its best asset in Olivia Colman’s scene-stealing turn as the hotel manager who oversees the rituals at the “resort” with docile English formality. The film’s flat-out rejection of happily-ever-after, though, might be the most satisfying finale yet for a love story. Whit Stillman throws one hell of a costume party. 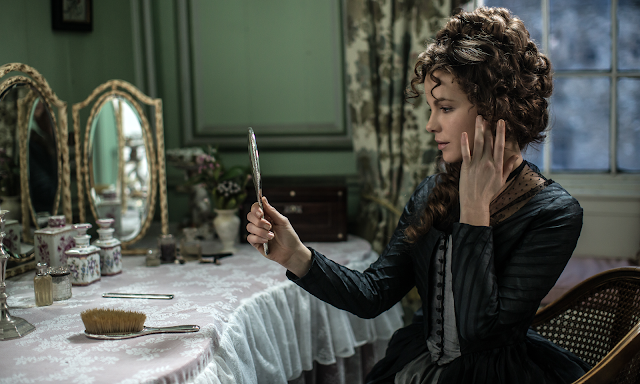 Love & Friendship is the wittiest take on Jane Austen to hit the screen in some time. Give credit to Stillman’s Last Days of Disco stars Kate Beckinsale and Chloë Sevigny for gamely donning the frills and corsets of the Austen era and sipping tea using the same relish with which they’d throw on some halter-tops and knock back vodka tonics as yuppies of the New York disco scene. This comedy of manners hits every beat of Stillman’s signature humour while remaining wholly faithful to the fashion and cadence of Jane Austen’s work. Love & Friendship dryly comments on its source material, though, with the shrewd wit of the performances and the slight tongue-in-cheek tone of the delivery. It savours the words of Jane Austen and chews them up. Terence Davis offers a plaintive, working-class tragedy with the sad romance of Sunset Song. This sharp and melancholy adaptation of the novel by Lewis Grassic Gibbon probably makes for a decent double bill with The Lobster, since it might be one of the most honest, if pessimistic, love stories in recent times. Agyness Deyn gives a revelatory performance that deserves to make her a star with her compelling and heartbreaking turn as Chris, the long-suffering daughter of a domineering Scottish patriarch (Peter Mullan) at a farm that somehow survives, like resilient a Big Mac forgotten on a counter. Davies’ sweeping scope eschews melodrama in favour of pain and spirit, creating a woman who endures and a nation that struggles to find the same note of goodness and kindness that Chris carries on her shoulders despite the countless labours that try to break her back. The aptly named Blawearie might be the last place on earth one expects to find love, but it’s one of the first places one should visit this year. 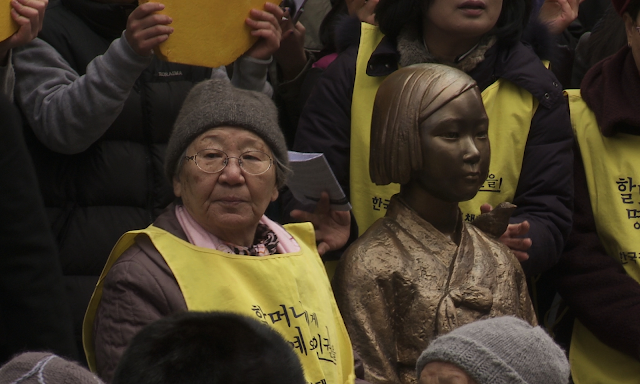 Honourable mentions: Almost Holy, Born to Be Blue, Chi-Raq, The Daughter, Eye in the Sky, The League of Exotique Dancers, Neon Demon, Tempest Storm, Tickled, Viva, The Waiting Room. Honourable mention: The sailor number, Hail, Caesar! Honourable mention: Oh What a Wonderful Feeling!